In Which the Inevitable Still Smarts. So, as most people who are, or used to be, fans of H!P have already heard, Tsunku stepped down, or “graduated” from being a producer way back in 2014, after Momusu went to New York. We are only now hearing about it because (I think) of Tsunku’s book. He confesses that he’d quietly stepped down after that concert, no trademark mid-concert announcement or any sort of fanfare. I suppose it’s been fairly obvious with the amount of non-tsunku songs lately and the lack of “produced by Tsunku” stamps on productions. The reaction seems to be a resounding ‘meh’, at least from the blogs or discussions I’ve read. People don’t seem to care much because so many have rage-quit or lost interest in the past few years. 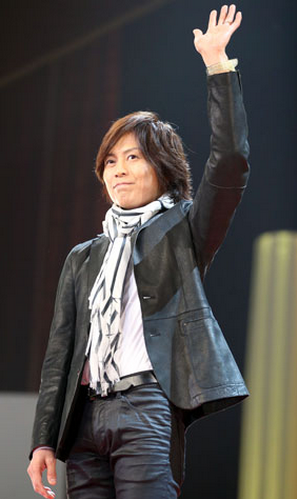 While they are sorry about Tsunku’s suffering, they seem to feel it’s a good decision and a long time coming. *sigh* I hate moments like this.